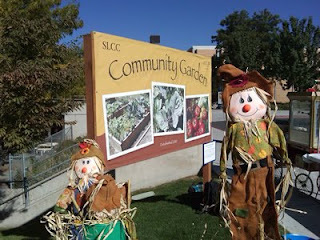 Scarecrows visited the garden this beautiful fall morning. 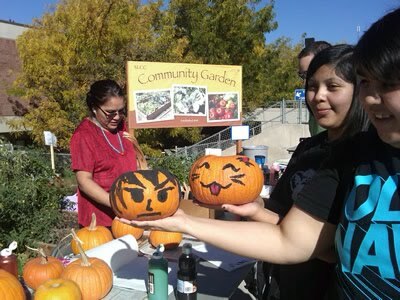 Students stopped by to paint pumpkins and see the garden. I thanked my zucchini plant for all it produced and pulled it out to join the other composting plants. I "sowed some oats" to bring nutrients back to the soil.